Most of these faces on your favorite brands are real people. But at least five aren't. Ths line of packaged baked goods started as a chain of bakeries in Chicago. The Kitchens of Sara Lee—and the sweet, frozen wonderfulness that followed—were named after founder Charles Lubin’s eight-year-old daughter. She became a prominent philanthropist, but reportedly never took up baking. Fan of make-ahead baking? Try these simple freezer desserts. Betty Crocker was not real. “Betty” was chosen because it sounded warm and friendly. “Crocker” was a tribute to retired company exec. William Crocker. Betty did OK for a fictional person, though. In 1945, she was named by Fortune magazine as the second most popular American woman—behind Eleanor Roosevelt. We tried the most popular brands of cake mix, here’s which brand made our top spot. O.D. McKee, the founder of McKee Foods, was so enamored of a photograph of his four-year-old granddaughter Debbie and her straw hat that named the company’s cakes after her. Debra E. McKee-Fowler eventually became an executive at the company that still has her image. Craving Little Debbie’s Swiss Rolls? Try this over-the-top copycat recipe. The pigtailed redhead in the Wendy’s logo is also a real, live person. The restaurant chain’s logo is based on an image of Melinda Thomas, daughter of founder Dave Thomas. And we know what you’re thinking: If the logo is based off a photo of a girl named Melinda, why is the chain called Wendy’s? Well, Melinda went by the nickname Wendy as a small child. Love this fast food chain? Check out our copycat recipes. As much as we wish there were a family of Butterworth’s out there running a syrup company, there just isn’t. The matronly talking syrup bottle was designed to evoke a homey hot-breakfast feeling by the Pinnacle Foods brand. You can also get that feeling with a batch of Buttermilk Pancakes. You-know-who would approve. Probably not. A pharmacist developed the soda in 1885 and it was named by his first customer, Morrison’s Old Corner Drug Store. There are stories that refer to various doctors named Pepper, but no reliable evidence exists. Whoever he was (or wasn’t), he makes a great BBQ sauce. The spelling is phonetic, but the man is indeed real. Ettore (Hector) Boiardi started working in the kitchen of New York’s famed Plaza Hotel after emigrating from Italy. He eventually opened a restaurant in Cleveland and started selling his popular spaghetti sauce with packets of dried pasta. This business would soon transform into the Chef Boyardee brand we know today. Francesco Rinaldi sounds more like the name of a great Italian chef, but he is actually just a work of a clever company. The name came from the imagination of the brand’s original owner, Edward P. Salzano. While the name is fictional, the taste of the sauce is real—it took top honors in our Test Kitchen trial! 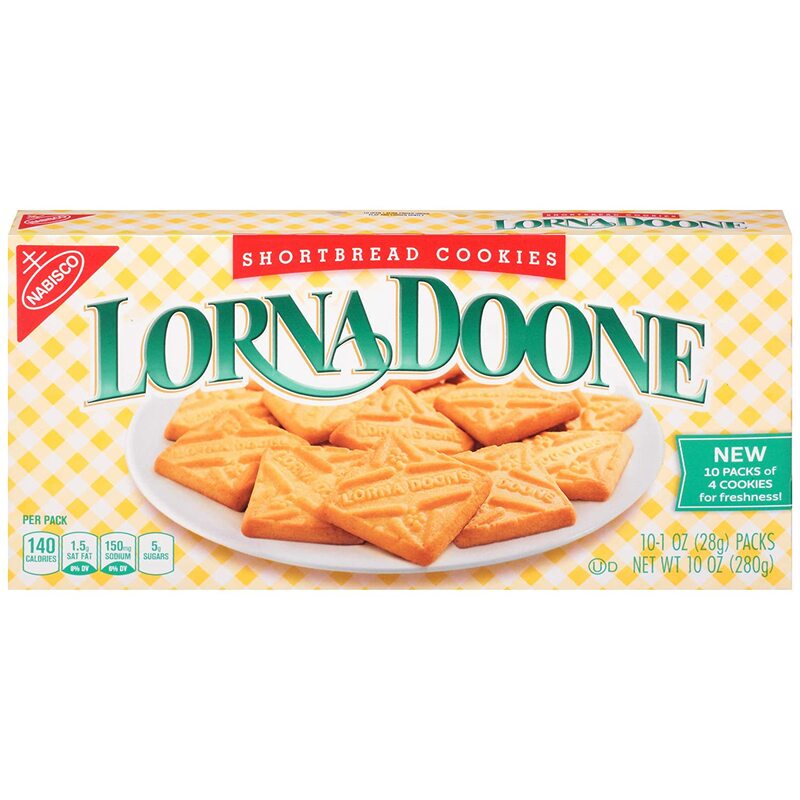 The shortbread cookie was most probably named after the main character in R.D. Blackmore’s 1869 novel Lorna Doone: A Romance of Exmoor. While the book was loosely based on history, the name was a thing of legend—as yours will be if you make your family this delicious shortbread. Find them here. Was the face on every rice package influenced by a Chicago maître d’ named Frank Brown or by a Texas farmer—known as Uncle Ben—who grew rice so well people compared the rice brand to his standard of excellence? There’s still no definitive answer. Mrs. Fields is indeed real! Debbi Fields was only 21 when she opened her first bakery in Palo Alto, California in 1977. The store was so successful that she began franchising and her face and name became synonomous with both cookies and entrepreneurship. Also real and, obviously, also famous. Wally Amos was a Hollywood talent agent who sent his homemade cookies to prospective clients. He represented such stars as Diana Ross & the Supremes and Simon & Garfunkle, but eventually focused on cookies. He opened his first store in 1975. Marie was a real person, but she wasn’t involved in her namesake enterprise. In 1848, when he was 20 years old, Marie Callender’s son Don opened a wholesale bakery to make pies for restaurants. He named the business after his mother because he thought it sounded better. What a good boy.